Snapdragon, Exynos, Apple AX: which is your favorite mobile processor line? Thanks to the ARM architecture, mobile chipsets have had an amazing journey in the span of just a few short years, reaching the jaw-dropping 14nm culmination we are at now, and moving towards the 10nm production method. In the process, some of the screeching fast silicon that our phones and tablets are equipped with managed to rival the clocked speeds and processing power of laptops even. There is a trend for paying less and less attention to the chipset your phone is equipped with, as even lower midrange ones now come with 64-bit support, multicore configurations, and can run anything that Android, iOS, or Windows Mobile throws at them. If not for an overheating debacle or two, like the one that swirled around Qualcomm's current Snapdragon 810 darling, the average user wouldn't even look at what's driving their phones, since at that level of processing power, most lag or stuttering is usually due to software optimisations, rather than lack of clock cycles. Not all mobile chipsets based on the ARM architecture are created equal, though, and there is usually an area where one excels before the others. 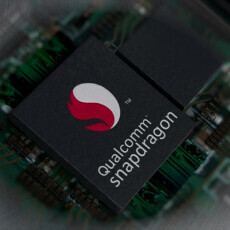 Qualcomm, for instance, bundles its Snapdragon line with the most complex 4G radios that support record numbers of LTE bands without interference, as well as plenty of other adjacent connectivity options. Samsung's Exynos portfolio is usually at the bleeding edge of processor foundry technology, always shattering the nanometer barriers on its way downwards. The up-and-coming MediaTek offers one of the best value-for-money mobile chips, and is a deca-core pioneer, while Apple's AX line is custom-made to bring the best out of iOS and iDevices, while shattering a single-core benchmark or two with each new release. This is why we wanted to ask you if you have a favorite mobile chipset line, one you think offers superior value and features, or if you aren't that interested what makes your phone or tablet tick. Take your pick, and sound off below. What is your favorite mobile processor line? Reluctantly I had to vote for Apple because the GPU performance is always outstanding. That overheating ? Like SD ? Apparently you haven't seen the reports about overheating that the 6S line has to deal with. Fully agree with you, Apple SoCs when they come out are beating the rest for 40 or 50%, when it is the other way around the best they manage is to overpower the AX line for 10 to 20%, rarelly more. It's kinda like this. In Q1, a new snapdragon or exynos gets announced which beats the last year's Ax GPU by about 40%. In Q3 Apple announced new Ax which beats these chips by about 40%. Repeat the steps for the next year. The only exception was 2014, where the 801 wasn't able to beat the powerVR rogue in A7. The Mali T760 and adreno 430 beat the A8 by about 30-40%. In fact, the T760 mp6 in note 4 and the adreno 420 in 805 matched the A8 last year. Same about 2013 when snapdragon 800 matched the Apple A7. It's on,y this year we didn't get a new snapdragon or exynos in Q3, which made the A9 absolute killer. GPU? But they are using powervr. Its not their own GPU. Do you want to say PowerVR is more powerful than Mali and adrino? Mali isn't Samsung's, either, it's stock ARM, just like the CPU. No, but apparently you do. If Apple's GPU cannot be considered because they did not design it, then there is no binary of "Mali or Adreno," there's just Adreno for consideration. But PowerVR partially belongs to Apple if you didn't know. PowerVR g7600 is more powerful than adreno430 or Mali T760. That's obvious. Though Mali T760 is not the best Mali GPU. The T880 is. Similarly for adreno 530. That si a 100% correct and unbias set of facts there bro. I applaud you for that one even if we dont always agree. +1000 for me to you. I would also add that putting the A9 on 14/16NM help considerable as both are very efficient fabrications. I like that even with the smaller battery, the iPhone manage to gain a significant amount of usage. I am not sure why Samsung didnt use an improved chipset in the S6. But I have a guess. I think they expected to have far more S6 sales, and didnt and simply had a lot of hardware available so they shoved it into the Note 5 and S6 Edge+. That and the next Exynos just wasnt ready or was preferred for the S7/Note 6. Either way, Samsung burn themselves for the 3rd quarter by releasing the Note 5/Edge+ with the same hardware even if they made some speed improvements as benchmarks show the Note 5 and S6 Edge+ scorig better than the S6...which could be due to more RAM. When a processor can run 4K or 2K native resolution, but is pushing only half of its potential, that's bound to happen. It's like Xperia Z5 compact, it's going to rule the graphic department in Android. off-screen raw performance A9 blows everything on the smartphone market out of the water. Why no voting on mobile? I always use their desktop site on phones. I can vote. It's not even worth polling. Apple's Ax chips have never failed. Sure, there are some awesome chips in the snapdragon line like the 801 and in the exynos line like the 7420, but they have their respectible fails too. Exynos 5410 and 5420 were terrible with heating issues and broken HMP. Similar can be said about snapdragon 615 and 810. But Apple chips never fail. They have consistently matched or outperformed the competition and never have issues. Plus, they are consistently leading the single-core performance and GPU front for years. I hate when people comment stuff like this. One core of twister or cyclone is huge, way more complex and consumes way more power than a cortex A57 or A72 used in other processors. It issues more than double the instructions per cycle and hence is way more complex and big. Apple doesn't put an octa for chip in iPhone 6s because they can't. The chip will be way too huge and consume way more power. The only way apple can fit in 8 cores is to make each core consume 4x less power which means way less performance. A core in twister is almost 2 times s powerful as a core in a57 used in s6. And it also consumes about 2x the power. Hence, it performs overall very similar in performance to the 4 A57 cores of s6 in multi core, and performs at better in single. It's just how apple decides to make the chip. If ios becomes more multi thread friendly, Apple will also start to make multi core processors as 2 cores with half the performance consume less power than 1 with full performance. It really boggles my mind that Apple would rather go with 2 large power hungry cores than 4 smaller frugal cores when multithreaded CPU performance seems to be the future of consumer computing.